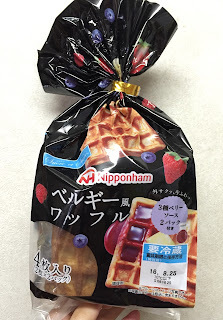 I saw a new Sucre et Sucre item called "Belgian Waffles" produced by Nippon Ham. It's launched on March 20, 2016. 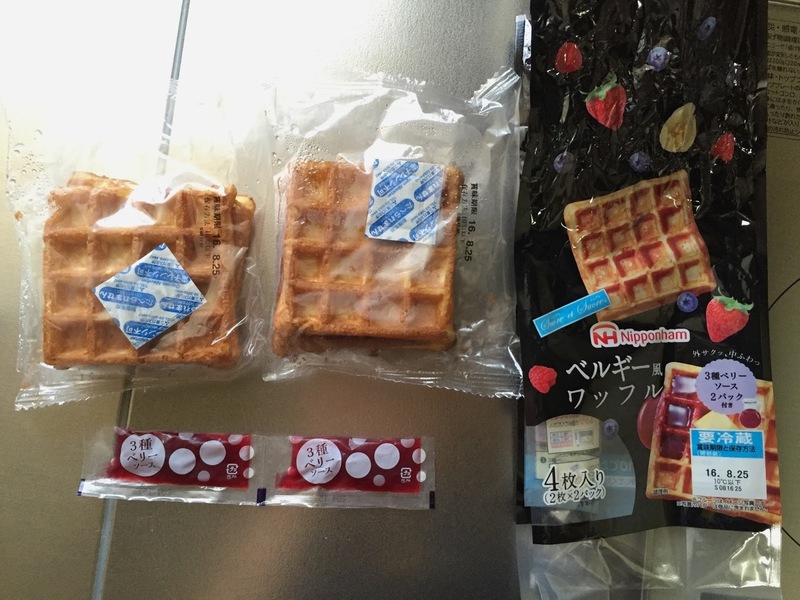 The right bottom says, "Crispy outside, soft indie," and this waffles come with sauce made of 3 kinds of berries. 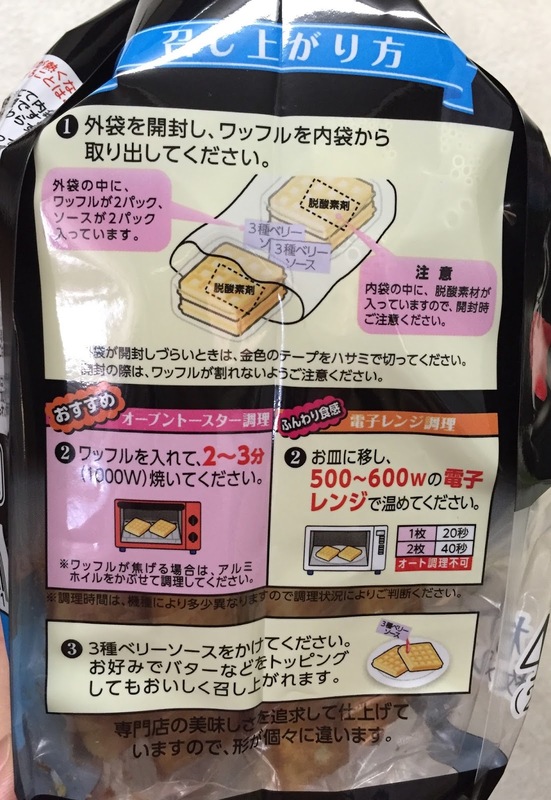 On the side, there're directions how to prepare the waffles. 2. Toast them for 2-3 minutes on 1000W or microwave for 40 seconds on 500~600W. 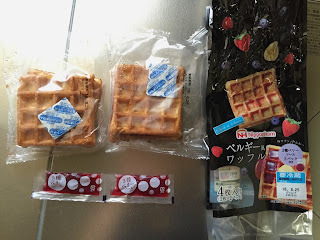 In small letters, "We pursue the flavor of waffle specialty shop and the waffles have different shapes. 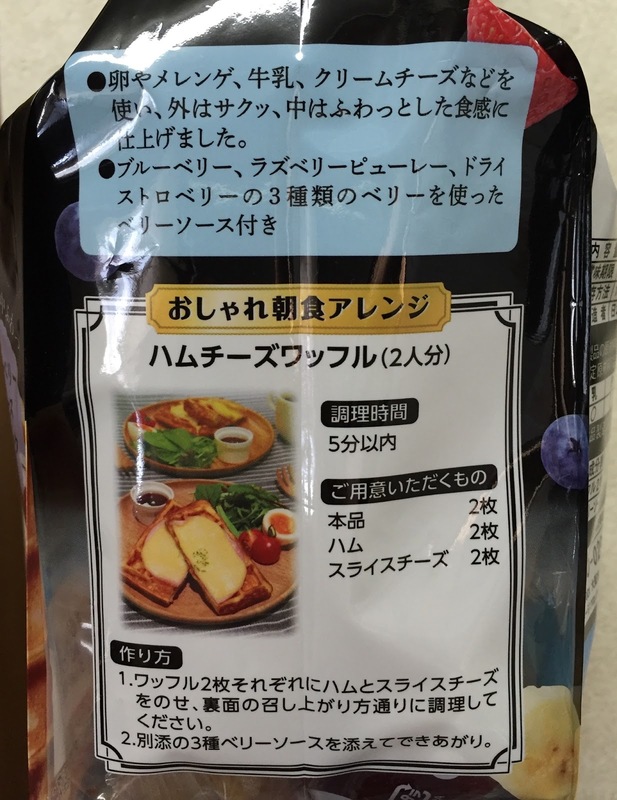 On the other side, there're product descriptions and also an arrange menu. We use egg, meringue, milk and cream cheese to create crispy surface and soft texture inside. 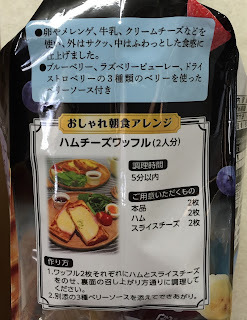 Blueberry, raspberry and dried strawberries are used for the sauce. 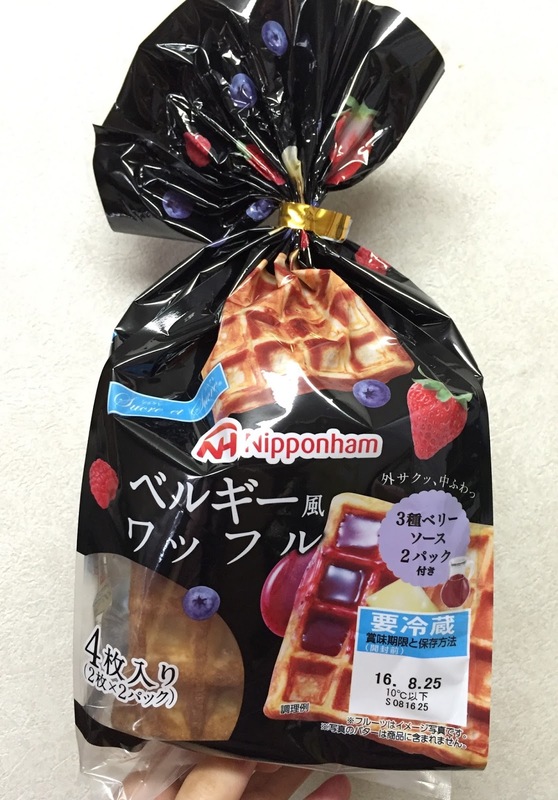 Each bag has 2 waffles with deoxidant. The outer bag recommended using a toaster, and I warmed them up for 3 minutes. They became a bit darker and had sweater and more fragrant scent. The bottom was still light brown. 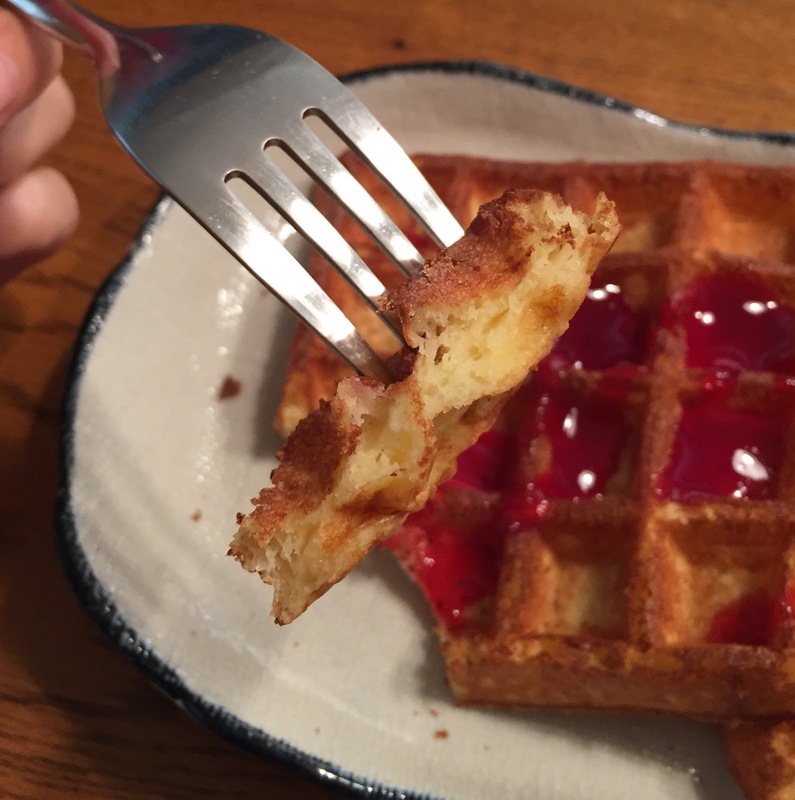 The top made crispy sound when I cut it with a fork, and the waffle itself was sweetened. 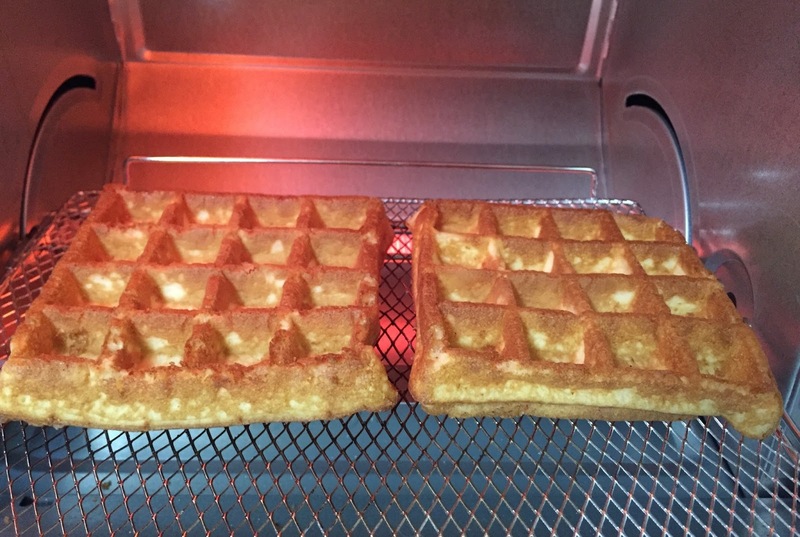 The inside was soft and moist, and the texture was similar to freshly made waffles. 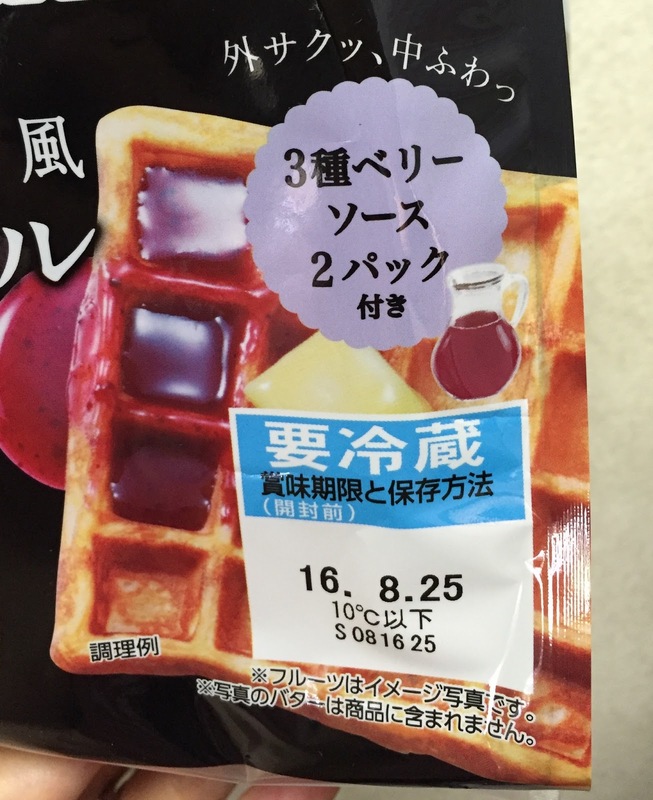 Sweet-sour berry sauce was so little that it's difficult to spread over the checkered waffles. 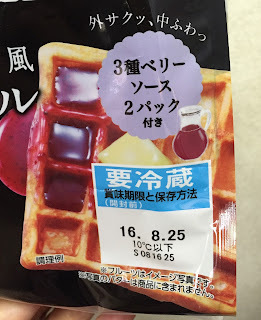 The berry sauce was a bit too strong and simple butter and syrup would have tasted better. Other Sucre et Sucre I've tried.